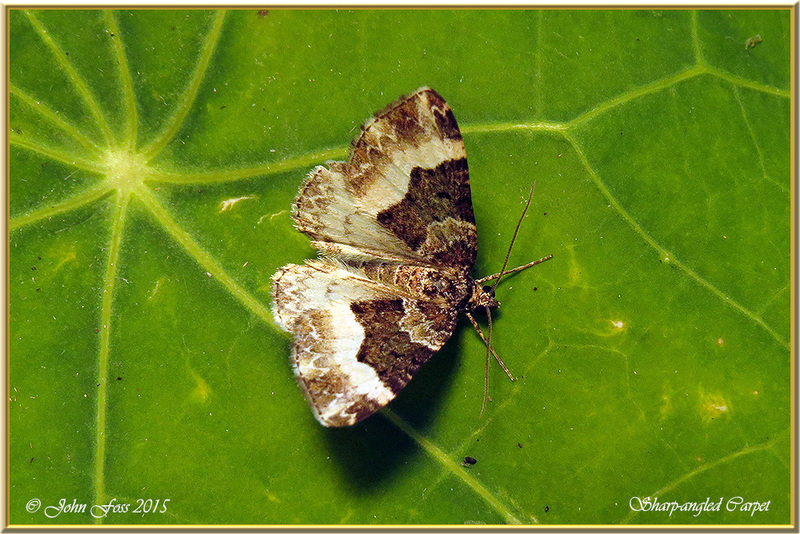 Sharp-angled Carpet - Flies from June to August. 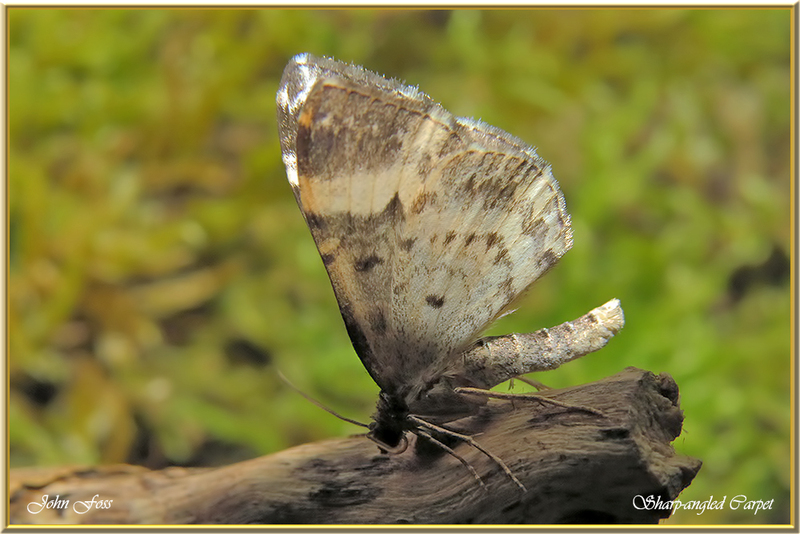 This moth has a wingspan of around 26 mm. Main foodplants are stitchwort and chickweed. 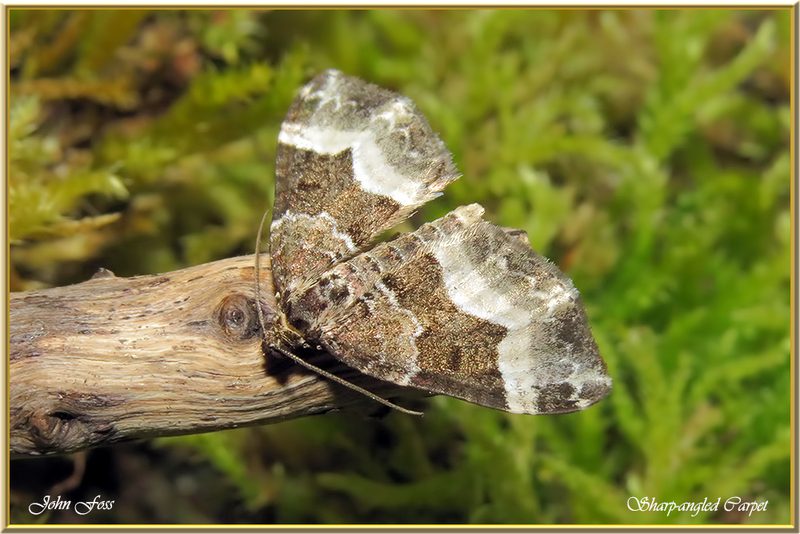 Observed at Greaghnafarna Co. Leitrim flying in August.